The Joel Gallery is a contemporary exhibition space designed to provide a quality yet affordable opportunity for professional and emerging artists. 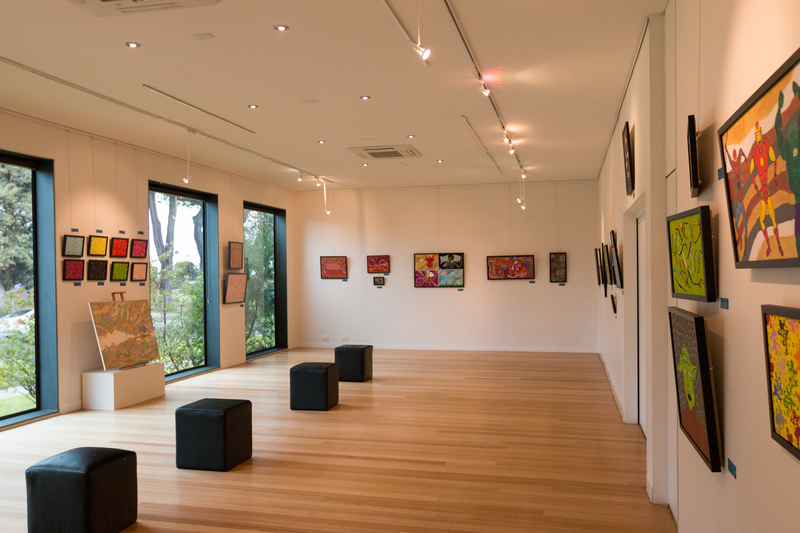 The gallery aims to promote the value and importance of arts in Hobsons Bay by developing and maintaining a diverse program of visual arts exhibitions. It also seeks to support and strengthen the capacity of local artists to engage with the community and initiate programs that assist with community cultural development. Joel Gallery is superbly located with views of Altona Beach, the historic Altona Homestead and Logan Park Reserve. The gallery space has an area of 72sq metres with over 20 metres of hanging space and features a polished wooden floor adjustable track lighting and display blocks for sculptures. Local artists based in Hobsons Bay as well as artists from Greater Melbourne, regional or interstate communities are invited to submit exhibition proposals for 2017/2018. Information regarding submission procedures and exhibition fees are by contacting the Centre Manager on 9398 2511. © Louis Joel Gallery - 2019 All Rights Reserved.